Although plenty of great games were released in 2007, there surely was one that fans of the RPG genre haven’t forgotten about yet. This is none other than The Witcher, an epic role-playing game based on the writings of Polish author Andrzej Sapkowski. And although CD Projekt Red’s game had a host of issues at launch, while it also suffered due to an infamously bad translation of the Polish dialog, it ended up becoming one of 2007’s top video game releases. This was due to the game’s superb atmosphere, great role-playing and good combat, and also due to the fact that The Witcher had a host of characters to remember, including of course, protagonist Geralt of Rivia, who already is one of the best video game characters of all time. And given the game’s success it is not surprising that it spawned several sequels, with the superb follow-up The Witcher 2: Assassins of Kings coming in 2011. Of course, few role-playing fans can forget 2015’s The Witcher 3: Wild Hunt, a game many consider one of the best RPGs ever made. This has sold millions of copies and is still going strong, and also helped popularize the novels the games are based on outside Poland (although much to his chagrin, author Andrzej Sapkowski did not end up taking any royalties…). So given what a wild success The Witcher series has been for Polish company CD Projekt, the people behind the games have now put out a video to celebrate the franchise’s 10th anniversary. This video (see above) features famous characters from The Witcher universe like Ciri and Triss amongst others, and of course, Geralt the Witcher himself also makes an appearance. 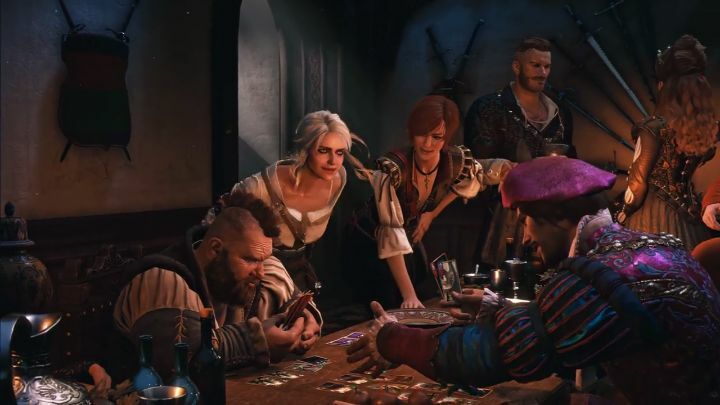 And it’s not surprising to see the house guests playing Gwent too, as this card game was a central part of 2015’s The Witcher 3: Wild Hunt. But although CD Projekt has seen fit to release a celebratory video for the well-known video game series though, this doesn’t mean we will be getting a new Witcher game anytime soon. Actually, developer CD Projekt Red is now hard at work on Cyberpunk, a sci-fi role-playing game which will be hitting shelves in the next few years, while the dev also made clear that The Witcher 3 would be the last game to star Geralt of Rivia, although not necessarily the last game in the series. For the time being though, there’s this new Witcher video to enjoy, while a new TV series based on The Witcher novels is also slated for release in the near future.